This technique can be achieved using various methods and colors.. You can always bailage with your choice of bleach and developer. I recently used this techinique on my virgin hair that I installed a few weeks ago and I am IN LOVE! I used a only a few materials!!! 1. 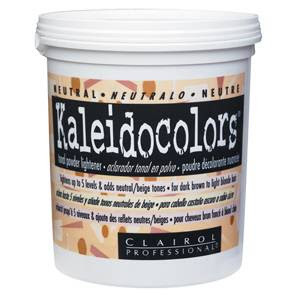 Kaledicolors Bleach (Neutral).... I love this bleach because it comes with a toner to ensure a refined look and minimizes the step of toning for yourself!!! 2. 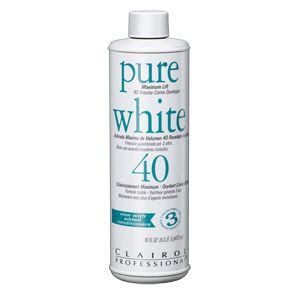 40 volume developer Pure White by Clairol- I used 40 because I did the technique on extensions so I had room to shy away from unwanted damage... I also cut processing time by using a higher volume developer. 3.Non metallic bowl and brush for application. I chose the large brush to speed up my process and ensure saturation of the desired area! Here we have the lovely Ashlee Simpson! 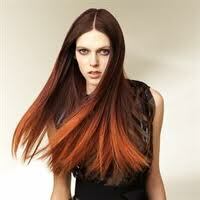 I enjoy her look she exaggerated the gradual color from dark to light and made it work! 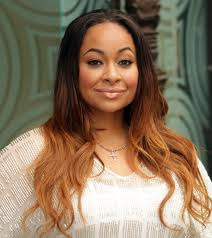 I like how she kept the hair textured... it gave off more dimension in the look! Good job! Keke Palmer has fun with her color and the tones compliment her complexion PERFECTLY! I randomly found this pic browsing... It isn't really the classic Ombre technique but her stylist vamped it up and i APPRECIATE it!... The look is edgy and genius all the while!!! Now I am sure all of you are familiar with the color craze!!! 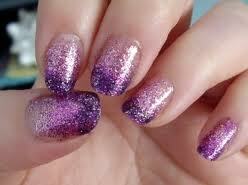 OMBRE!! If you were not hopefully you gained knowledge through this read! NOW YOU KNOW I AM NOT DONE!!! the NAIL TECHS have adopted the technique and made it work for them... You can choose your color scheme and get an Ombre Manicure! I love this and it just goes to show creativity THRIVES in this industry!!! Dedicated to Kepping Women In Touch with the Wonderful World of Beaty from ALL points of view!